Jahlil Okafor, the 2014 High School National Player of the Year, was a key member of the Blue Devils 2015 National Champions team. His impressive play also earned him the ACC Player of the Year, becoming the first freshman to win the award. Okafor also decided to forego his final three years to declare for the NBA Draft, and was selected 3rd overall by the Philadelphia 76ers. 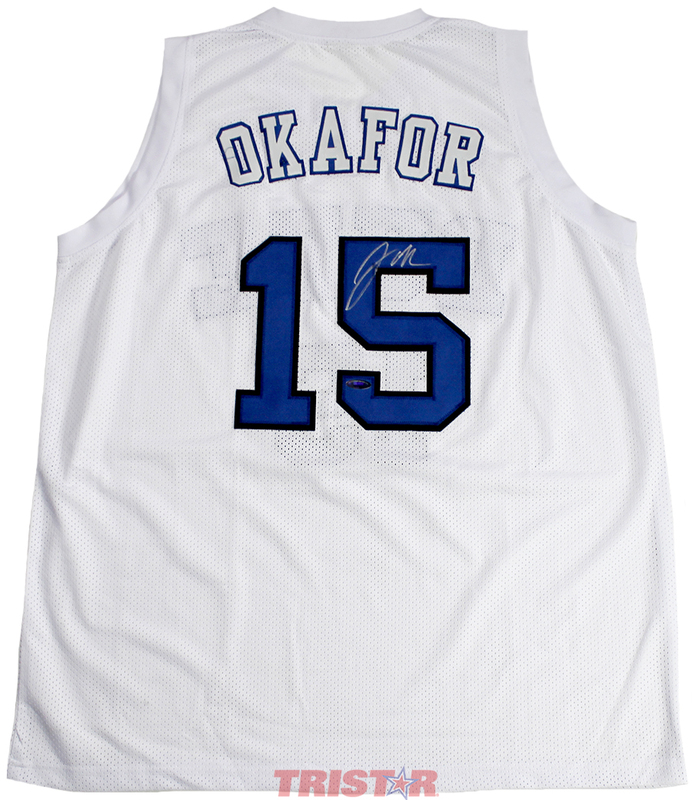 This custom Duke jersey has been hand signed by Jahlil Okafor. Each autograph is guaranteed authentic, and includes an individually numbered TRISTAR Authentic hologram.